Once upon a time, game designer Hideki Kamiya worked at Capcom and made games like Viewtiful Joe and Okami. Now he works at new start-up Platinum Games and makes games like Bayonetta. But does he want to make sequels to those old titles? "I don't have the rights to any of the IPs that I've made," Kamiya told Game Informer. "They belong to the companies that publish them, and they're a business so they have a right to exploit those IPs as they want.... However, to be completely honest, I'd love to do them myself." Kamiya said he was interested in making an Okami sequel, but isn't anymore now that Capcom is making another Okami title, Okamiden. "Once someone else touches a world that you yourself created it stops being yours," Kamiya explained. "There is no point in making a sequel when the world doesn't belong to you." 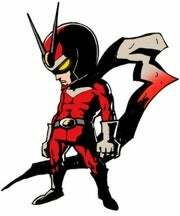 Viewtiful Joe is probably all he's got left, Kamiya noted. "That story is incomplete so I'd like to finish it someday," he added. "But that would probably be the most difficult one to do." Yeah, especially because Capcom owns the IP.